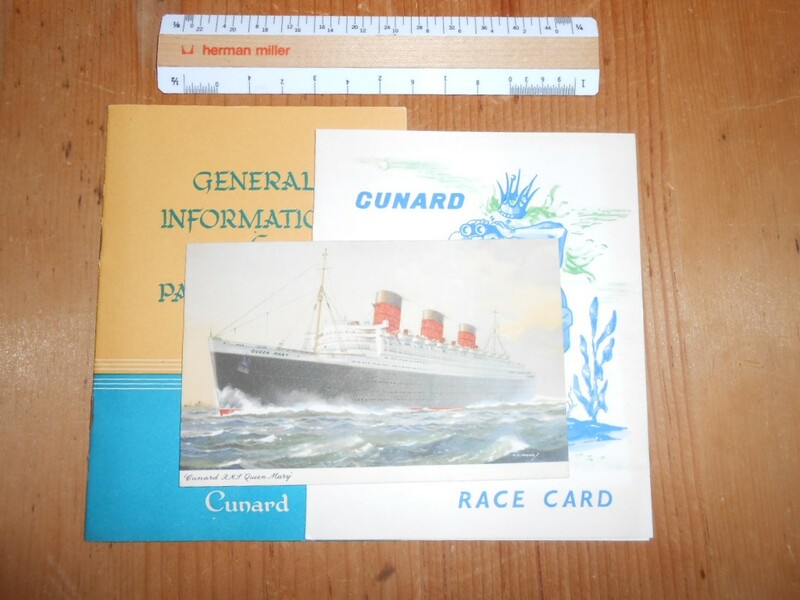 3 Queen Mary items from a 1958 voyage once owned by Jim Meinershagen's mother. Could the name be anymore German? First is the turner portrait postcard, signed by Jim's mother .. and postmarked in NYC May 6th 1958.The second item is a horse racing card ... looks like there 4 races scheduled. Lastly is nice general information booklet (staples are rusty)... the landlubbers guide to ship speak =). 3 cute little items!